Insurgents, commonly referred to as rebels or revolutionaries have greatly contributed to define each and every nation throughout history. The insurgents are initially considered by the ruling party a threat to their seats of power but to the general public or the masses, they are hailed as the greatest thinkers and movers of their time who bring about changes for the greater good – seeking freedom from oppression and poverty. The Philippines for one, has produced an admirable line of insurgents who have been proclaimed heroes such as Jose Rizal, Andres Bonifacio, Lapu-Lapu and Gabriela Silang who ignited and united the people to fight for the nation’s freedom from oppressive forces that have long chained the Filipinos’ true identity. These heroes initially did not fit in any classification within the society who have been on the run from the ruling government to stop them from freeing the enslaved nation at the time. Art imitates life, from the real life stories of these insurgents turned heroes, theirs have been inked on books, painted on canvasses and immortalized on films. To this day, insurgents now come from all classes of society – from the privileged rich, the military to the poorest of the poor whose mission is parallel to the heroes we’ve known throughout history. In the upcoming adapted movie from the bestselling young adult book “The Divergent Series: Insurgent” from author Veronica Roth, Golden Globe nominee Shailene Woodley leads as one of the insurgents along with a stellar lineup including Theo James and Academy Award®-winner Kate Winslet. Academy Award®-winner Octavia Spencer, Naomi Watts, and Daniel Dae Kim join returning cast members Jai Courtney, Ray Stevenson, Zoë Kravitz, Miles Teller, Ansel Elgort, Maggie Q, and Mekhi Phifer. Young actors Emjay Anthony, Keiynan Lonsdale, Rosa Salazar, Suki Waterhouse and Jonny Weston also join the cast. 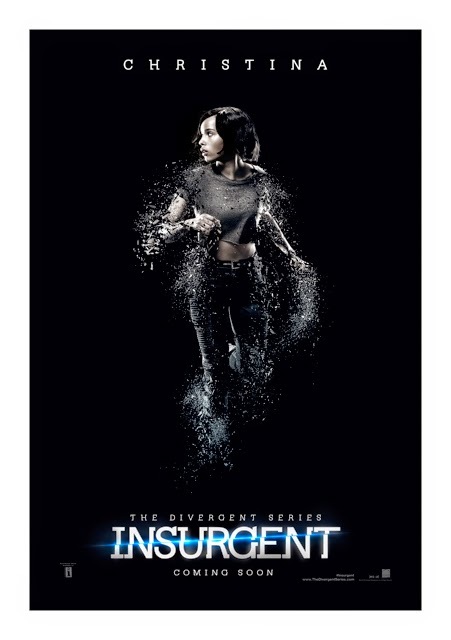 On the run from the government, “Insurgent” picks up three days after the end of the first movie “Divergent,” when Tris (Woodley) and Four (James) narrowly hindered Jeanine’s (Winslet) plot to use mind-controlled Dauntless troops to exterminate the population of Abnegation. 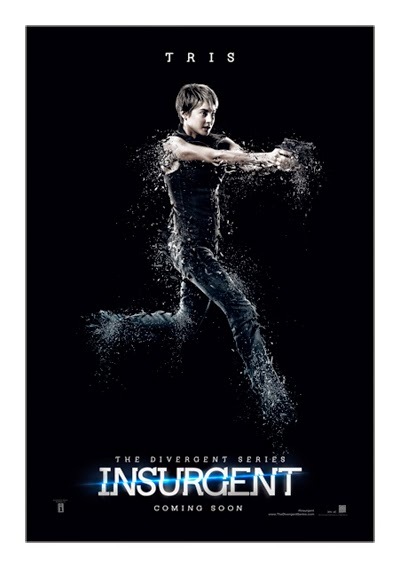 But the victory comes at a terrible personal cost for Tris. Both her parents are killed in the battle, as is her fellow Dauntless initiate Will, whom she is forced to shoot when he attacks her under the influence of a brain-altering serum. 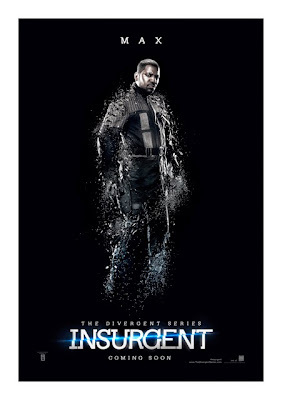 “Insurgent” is set in the ruins of a futuristic, walled Chicago where survivors are divided into five factions based on their abilities, temperaments and personal preferences. Members of the Abnegation faction are selfless, Amity are peaceful, Candor are honest, Dauntless are brave and Erudite are intelligent. Those who belong to no faction are known simply as Factionless. 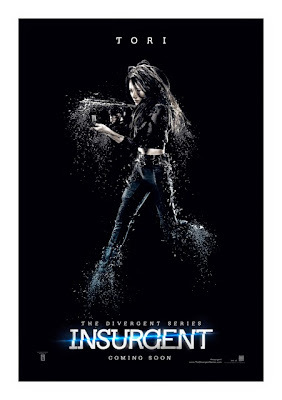 Watch the Official Trailer for The Divergent Series: Insurgent! In the first film, Beatrice “Tris” Prior, who grew up as Abnegation, learns through a government-administered aptitude test that she is Divergent, meaning she has attributes of multiple factions. Because Divergents are independent thinkers who cannot be controlled by any faction, they are considered dangerous. Upon learning her traits put her at risk, she chooses to join Dauntless to conceal her Divergent identity. But as part of her rigorous training, she is forced to take part in hallucinatory simulations (SIMs) that reveal her unique abilities. She finds a much-needed ally—and eventually a love interest—in Tobias “Four” Eaton, a Dauntless instructor and expert fighter who is also revealed to be Divergent. In Insurgent, the stakes and the action are raised dramatically as Divergents are hunted throughout the city by Jeanine’s brutal militias and Tris and Four realize they must find a way to stop her. With Tris and Four on the run and searching for answers across the war-torn city, the audience is taken on a journey through the unique and visually arresting environments inhabited by each faction. For the filmmakers, that meant creating more eye-popping action scenes, many of which occur in the far more challenging and terrifying SIMs that Tris is forced to take part in as Jeanine seeks to unlock the secrets of the Divergents’ power. 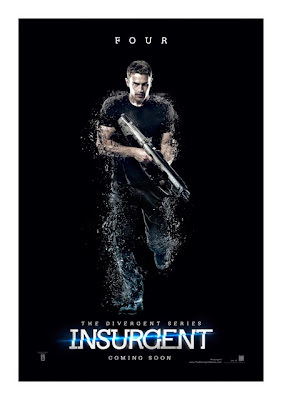 This mind-bending action is just one of the aspects of The Divergent Series: Insurgent that raises the bar and accelerates Tris’ exciting story that readers know and love. From Pioneer Films, “Insurgent” blasts in cinemas nationwide starting March 18 in the Philippines (ahead of US release).